Watch the first one-day international between Windies and England live on Sky Sports Cricket from 2.30pm on Wednesday, 20 February. The action from day four of the third and final Test between Windies and England in St Lucia. 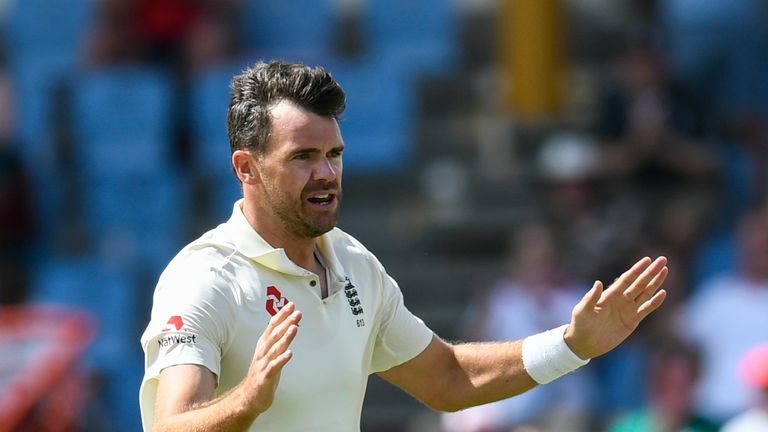 James Anderson and Moeen Ali starred as England wrapped up a resounding 232-run victory over Windies in the third Test in St Lucia. Joe Root, who won praise in the morning for challenging Shannon Gabriel, was finally dismissed for a brilliant 122 as the visitors declared on 361-5, setting the home side an unlikely 485 for victory. 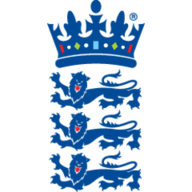 England's bowlers wrapped up the win just under two hours into the evening session of day four, during which it was revealed that Gabriel had been charged with a breach of the International Cricket Council's (ICC) code of conduct following his exchange with Root. 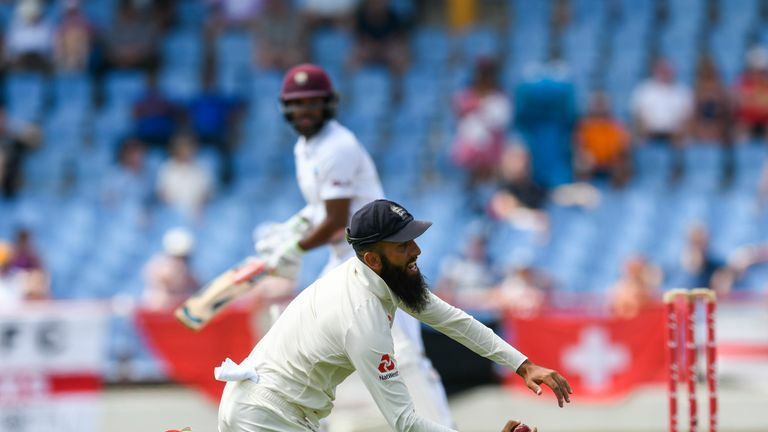 Moeen Ali took a spectacular catch to dismiss John Campbell in the third Test between Windies and England in St Lucia. Gabriel and Root's exchange dominated headlines in the morning but once Root declared and England began bowling it was all about Anderson and a stunning Ali catch. Anderson (3-27), having changed his run-up mid-Test, needed only three balls to breakthrough as Ali claimed a sensational one-handed take at gully to remove opener John Campbell for a golden duck. During a scintillating spell, England's all-time leading wicket-taker also removed stand-in captain Kraigg Brathwaite (8) and Darren Bravo (0), before Mark Wood dismissed Shai Hope (14) to reduce the hosts to 31-4. 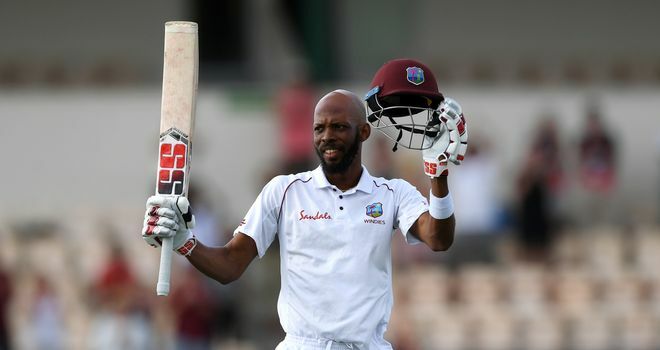 With a resolute rearguard action needed, Roston Chase batted with poise and patience, scoring a brilliant unbeaten century but Ali's 3-99 ensured England walked away with a consolation win in Gros Islet, with Windies taking the series 2-1. England lost Root just 5.2 overs into the morning session - with the captain flicking Gabriel to Shimron Hetmyer at short midwicket to bring a close to his 16 Test century and his team's second innings. With a little under six sessions to bat for the draw, Windies found themselves in serious trouble at 10-3 as Anderson ripped through their top-order. Following Campbell's first-ball duck, fellow opener Brathwaite fell in Anderson's next over as an edge was gobbled up by Ben Stokes at second slip at the second time of asking. 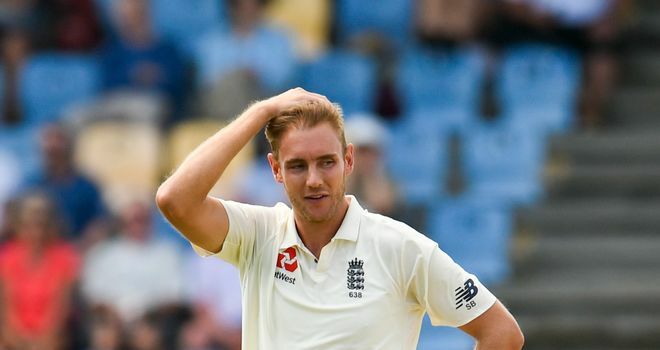 Stuart Broad should have had Hope heading back to the pavilion for a 10-ball duck but saw Jos Buttler shell a simple chest-high take in the slips - the 98th catch to be put down off the seamer during his Test career. 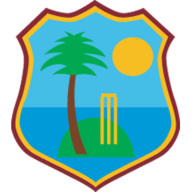 However, England's frustration soon returned to celebration when Anderson tempted Bravo into a drive, with the Windies batsman only succeeding in edging the ball to Root at first slip. In dire straits, Hope and Chase looked to gain a foothold but the former was unable to handle a short delivery from first-innings hero Wood - with a leading edge grabbed easily by a backpedaling Broad at point. Following the lunch break, Windies offered a touch more resistance - fifth-wicket pair Chase and Hetmyer (19) sharing a hard-earned 45-run partnership but the latter was run out when the pair attempted a risky third, thanks largely to a good throw from Joe Denly on the boundary. Spinner Ali then used the breeze to take a fine outside edge from Shane Dowrich's (19) bat and after clipping Bairstow's pad Stokes completed the catch via his forearm to end a defiant knock from the wicketkeeper. Chase continued to defy the away side's bowlers, bringing up his fifty off 136 balls, and England's catching continued to gift Windies with opportunities as Rory Burns shelled a chance at deep mid-off to hand Kemar Roach a second life on 19. However, the Windies player's erratic innings eventually saw him run out of luck as an attempted drive was snaffled at cover by Wood. An entertaining 56-run eighth-wicket partnership between Chase and Alzarri Joseph was ended when the went for one big hit too many, having struck Ali for a pair of sixes, and was caught off the England spinner at mid-on. The injured Keemo Paul hobbled out to bat with Chase completing his hundred, from 140 balls, but Stokes took a regulation return catch to dismiss Paul and bring an end to a fiery contest. Windies won the toss and elected to bowl.